INSIDE : Download your gorgeous black and white watercolor Sun Please print. 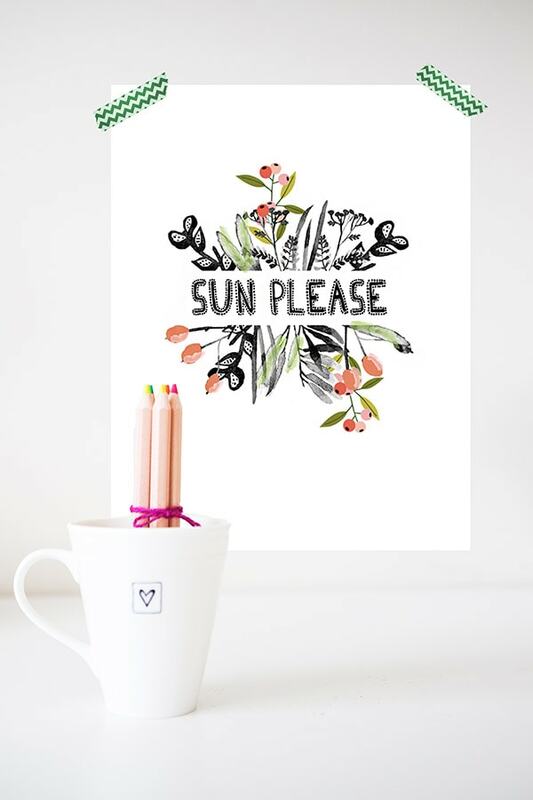 Hang in your home to remember that sunshine is going to come back at some point! I am so blessed to live in a place that is sunny for most of the year (New Mexico). But I my entire childhood I lived in the Midwest and the last 2 years we were back in IL and I will tell you what… it’s not always sunny year round everywhere. From about mid-October to April… the sunshine is hit or miss in many places across the country. So, I hear your pain friends. I hear your desperate calls for sunshine and a little less gray. 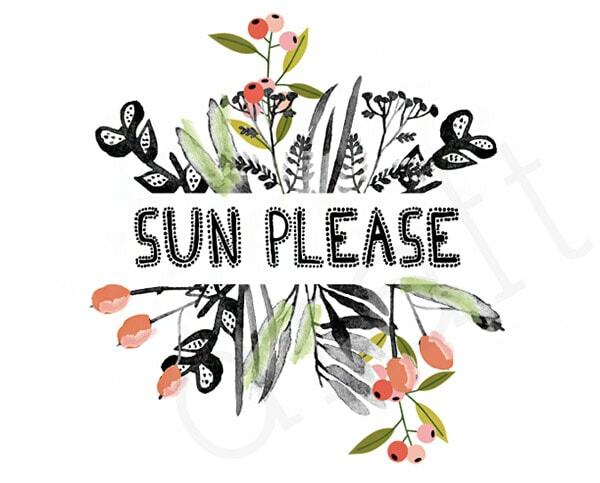 Today I am sharing my brand new Sun Please print with you all because I get it. This print is mostly a black and white watercolor look with just a few pops of color… because who am I if not a “few pops of color” kind of person! This print comes in an 8.5 ” x 11″ size once downloaded. You can print on your home printer or at your local print shop. Sign up for the DYD Insider newsletter to receive access to my ENTIRE DYD Printable Library along with this gorgeous Sun Please printable!!! Ps – Happy Valentine’s Day, friends.